At Freedom Accessibility, we strive to provide high-quality accessibility solutions for our clients to ensure they are living their most independent lives. Based in Arkansas, we have been serving the community by delivering excellent customer service and experienced installs. We are proud to be a Better Business Bureau Accredited Business! 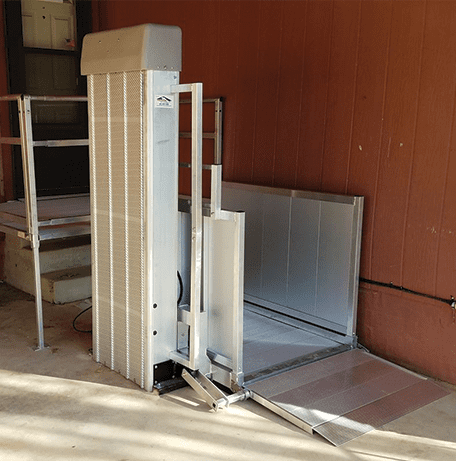 Wheelchair lifts and much more! According to a survey done by AARP, 90% of people desire to remain at home and we’re here to make that possible. Check out our products and services to begin your journey toward independence at home. What makes us a leader in wheelchair ramp design, construction and installation? Our staff combines numerous certifications, 20+ years of experience and a commitment to providing exceptional experiences to our clients! We strive to stay up to date with the latest and greatest in accessibility technology and ensure that you’re getting the industry standard for products and services.